Well, it seems that Sony (not Ericsson) is doing everything in their power to try and get the developer community back on their good side once again. Over the last couple of months, the electronics and media giant has been hard at work pushing early betas for some of their devices in the Xperia series released last year. Fact of the matter, ICS is almost going to be phased out and it hasn’t even been released yet (Jelly bean is lurking in the shadows after all), so they need to try and push it out before it is too late and becomes old news. According to Sony’s blog, they received several requests for the beta from the Play community after seeing the other Xperia’s getting the goodies. They do claim that most functionality works well on this beta firmware, but they do add the disclaimer that it is probably not a daily driver due to stability issues. However, it seems that they are interested in getting feedback regarding the gaming experience of the play with ICS as it should be a gaming phone and several games are not exactly optimized for this platform just yet. The blog has more information regarding what this build actually contains. Having said this, the really important, underlying, and unmentioned advantage of this hitting the shelves is that Xperia Play developers now have a real ICS kernel with official drivers to play with, which will mean that most bugs present in current port may soon be fixed. So, thank you Sony for this early birthday gift for the Play owners and devs. Upon request we’re today releasing an Ice Cream Sandwich (ICS) beta for Xperia™ PLAY, and we’re really interested in getting your feedback on this beta release. 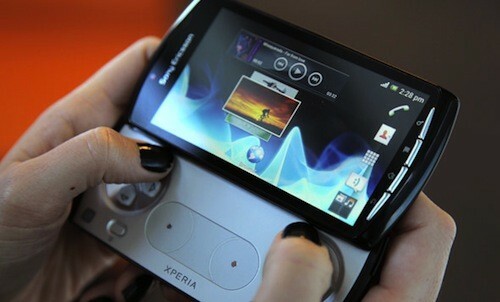 As games are such a crucial part of Xperia™ PLAY, we would like to know how well this ICS beta for Xperia™ PLAY works when you’re playing games. Read on for download links and installation instructions! You can find more information in Sony’s blog and in the official XDA launch thread by XDA Forum Member and Sony Mobile Developer Relations Team Member KalleD. If you have feedback, please leave it in the XDA thread, following KalleD’s template.